Here’s an interesting fact, I bought Hotline Miami for PC a long time ago and I’ve only recently had a chance at it thanks to it being ported to the PS Vita. Which is rather serendipitous because Hotline Miami plays to the strengths of a portable system. 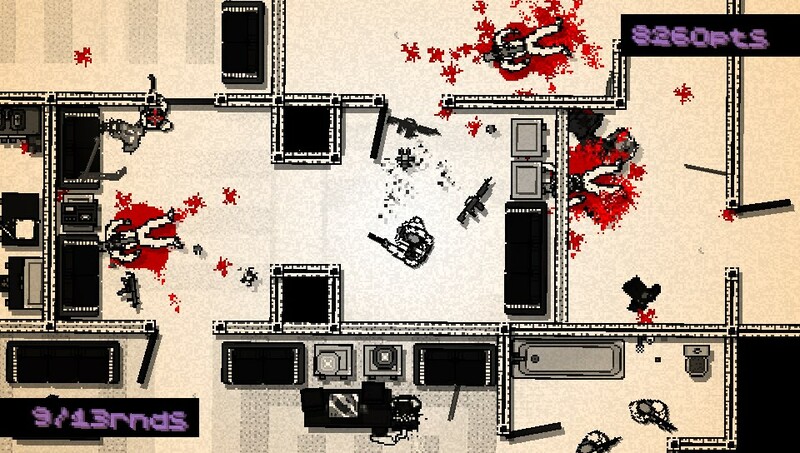 In a nutshell, Hotline Miami is like taking Super Meat Boy and then taking a GTA 1/2 paint brush to it. What I find ironic is that FPS developers will try to dismiss the violence in their games as a byproduct of guns being a very easy mechanism to create games around, instead Hotline Miami basks and reinforces it’s narrative with ultra violence. It’s this ultra violence that almost feels like the driving force for all of the game’s tent-poles. The story-line and sound track are a reflection of the visuals creating this furtive twisted tale that I couldn’t help but be drawn in like a mosquito to a bug zapper. Most likely due in large part to the game’s anti-penalty for dying, the game fosters a blistering frenetic pace. The fact that I nearly jump out of my skin anytime an enemy shoots at me should convey how Hotline Miami can be so engrossing. 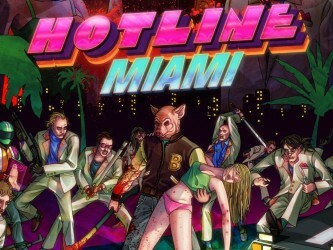 Hotline Miami isn’t sadistic in the same way that practically every violent video game isn’t sadistic. What makes hurting people so fun in Hotline Miami is the balance of risk vs reward. Dying doesn’t mark negatively against your completion of a level, nor does being discovered. In fact the game rewards you for exposing yourself, lengthening each individuals death sentence and combining attacks in a variety of stylish methods whilst imposing a time limit for the entirety of the level. The result is that each level is a puzzle that has a correct method of clearing out but there still is a hint of randomization in the form of different weapons on the ground or even enemies being in slightly different positions. Even though I thoroughly enjoyed Hotline Miami on the PS Vita, the only thing I wished they changed was the lock-on targeting system. It works well enough but you lock-on to the person closest to you in relation to your position that radiates in a cone-like pattern from your front facing position instead of locking on to the enemy who is closest to you in proximity regardless of your position. Russell Mask – Exclusive to PlayStation platforms, this mask changes visuals to black and white with only the red from blood and the neon from the UI coloring the screen. Leaderboards – Individual leaderboards for each level ranking friends and players worldwide based on score with a note on which mask was used to achieve it. 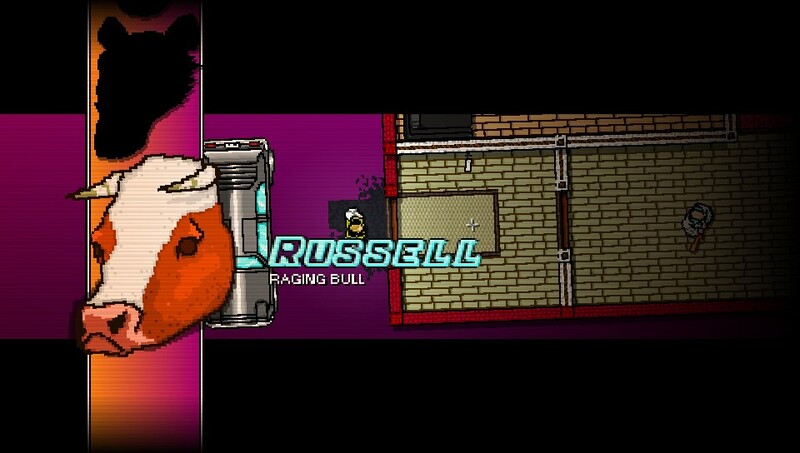 Hotline Miami is everything you’ve already read elsewhere. If you enjoyed Super MeatBoy for it’s challenging gameplay than you’ll absolutely love the relentless action that is less worried with you dying and more worried about getting you immediately back into smashing the brains out of those who stand in your way. Verdict 10/10: Very hard to not recommend. If you have a PS Vita, Hotline Miami plays perfectly to its strengths.